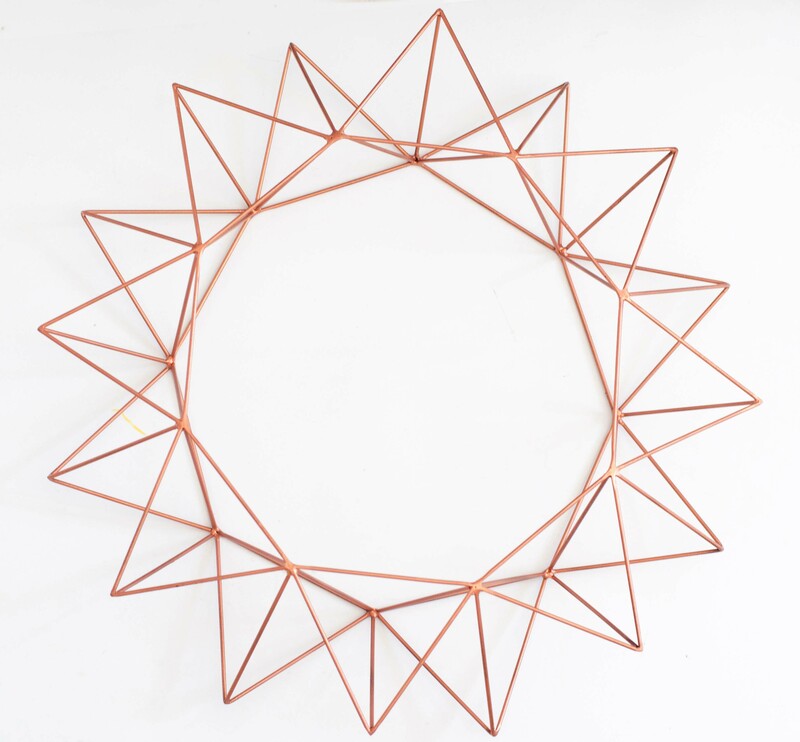 This striking large Himmeli Wreath is inspired by the traditional Finnish himmeli s, it casts a beautiful geometric pattern on the wall when the light is just right. 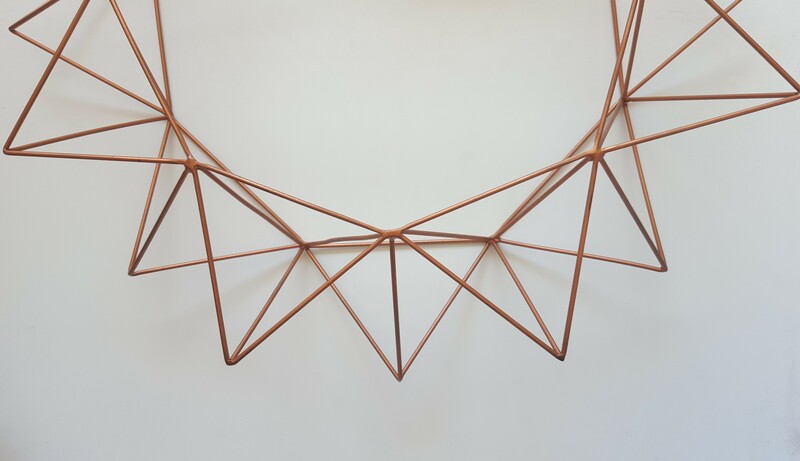 This wall sculpture is truly a pièce de résistance. 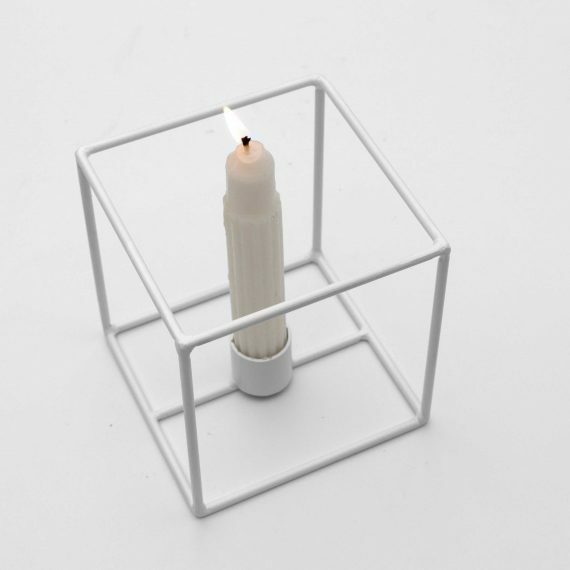 The visual perspective changes for you from each angle, playing off its angular lines. What we love most is the merging of traditions between the wreath and himmeli which both represent a celebration of the winter solstice. 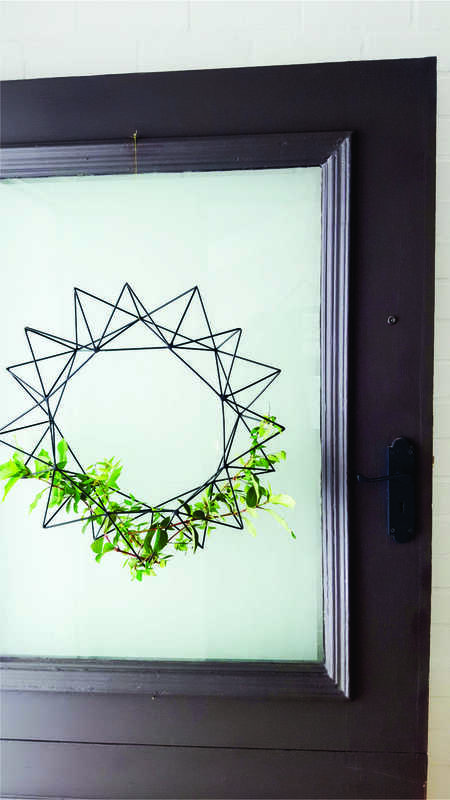 This wreath has a wealth of uses – on a wall or front door during the festive season with fresh botanicals or suspended above a dining room table or even placed on a table as a centre piece – the options are endless. 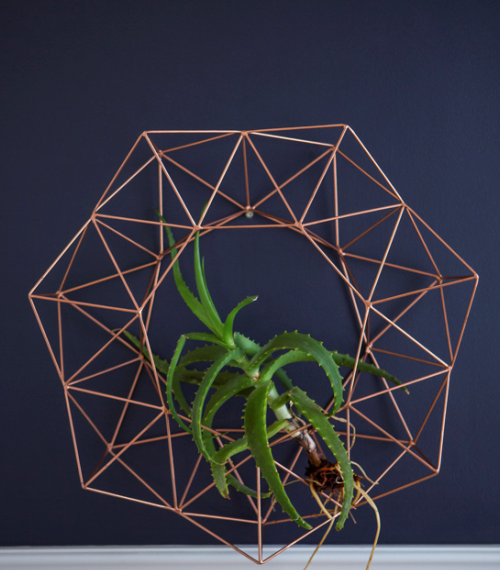 Category: Home Decor. 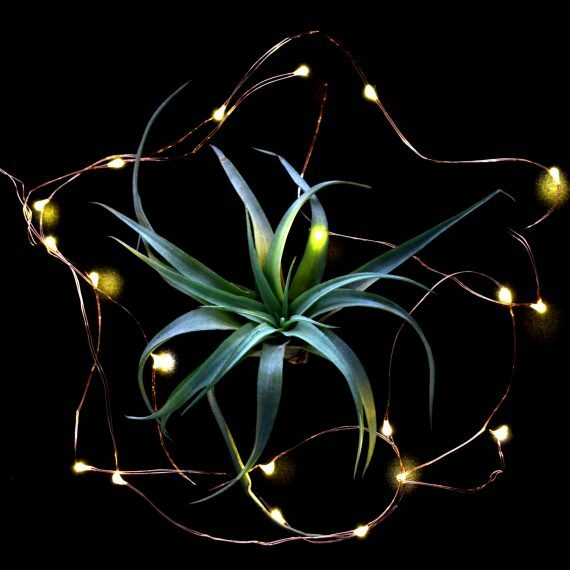 Tags: Air Plant Wreath, Air plants, Geometric Wreath, himmeli, Himmeli Wreath, Minimalist wreath, Wall Art, Wall sculpture. 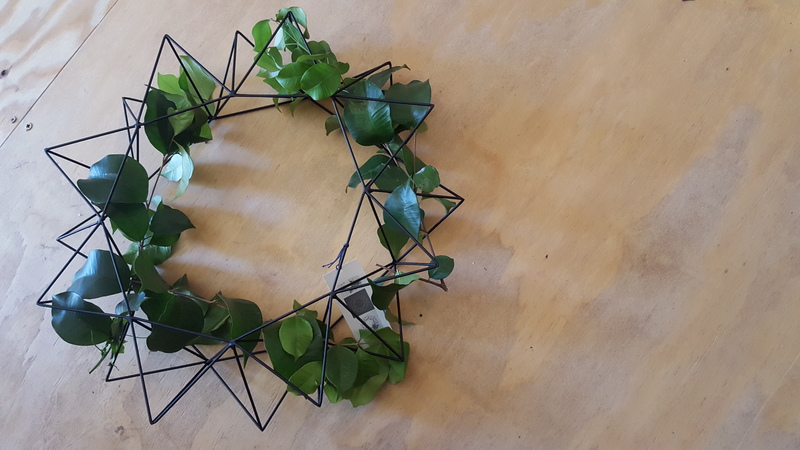 After the popularity of our first Geometric Wreath (Geometric Wreath I), we created this wreath resembling a star. 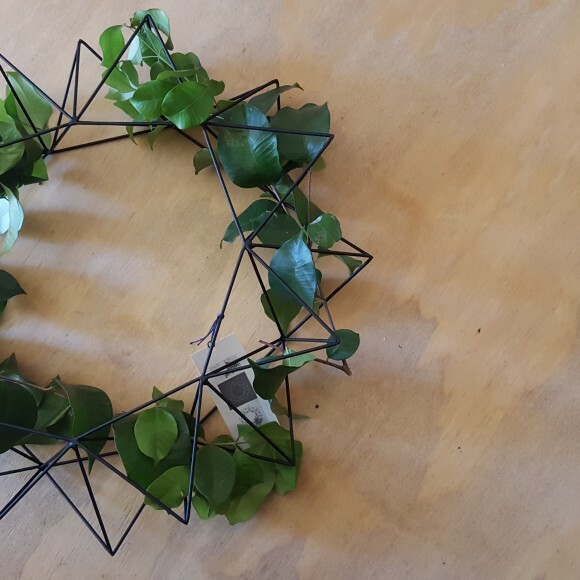 This striking large himmeli wreath is inspired by the Finnish himmeli’s, merging the traditions between the wreath and himmeli which both represent a celebration of the winter solstice. 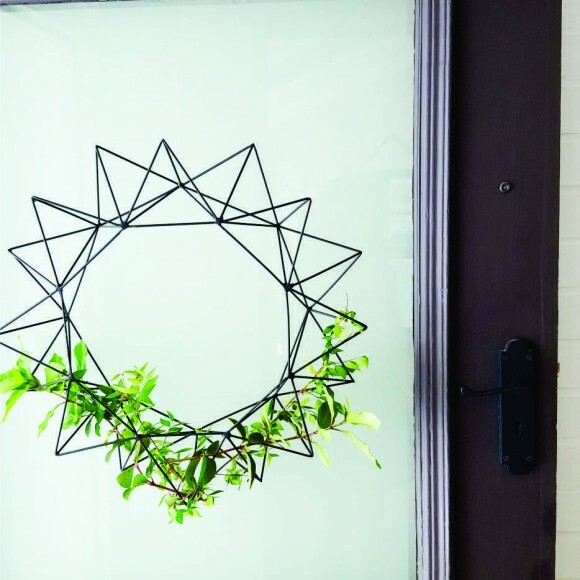 This flawlessly faceted modern wreath gives multiple points of dimensional interest and casts a beautiful geometric pattern on the wall. 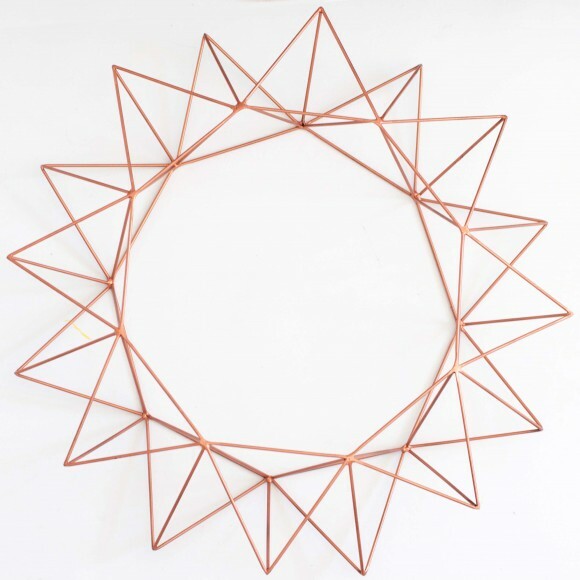 It has a wealth of uses – on a wall with a collage of art; or mounted on a front door during the festive season; or suspended above a dining table; or even placed on a table as a center piece – the options are endless! 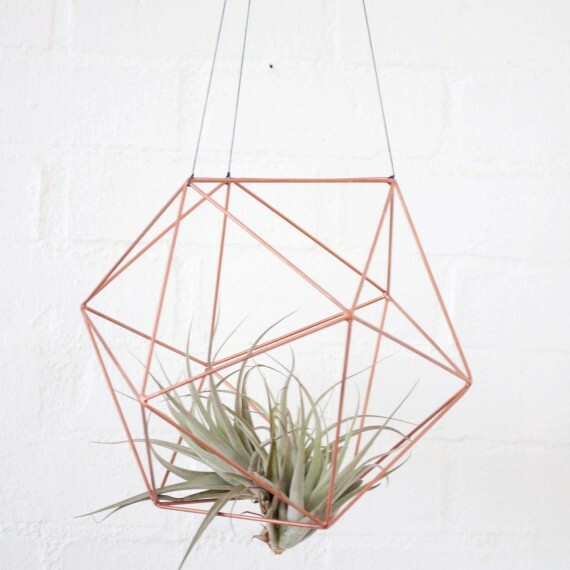 To add your personal touch, a lightweight collection of air plants, flowers or ornaments can be carefully rested within its hollow frame with the changes in season. 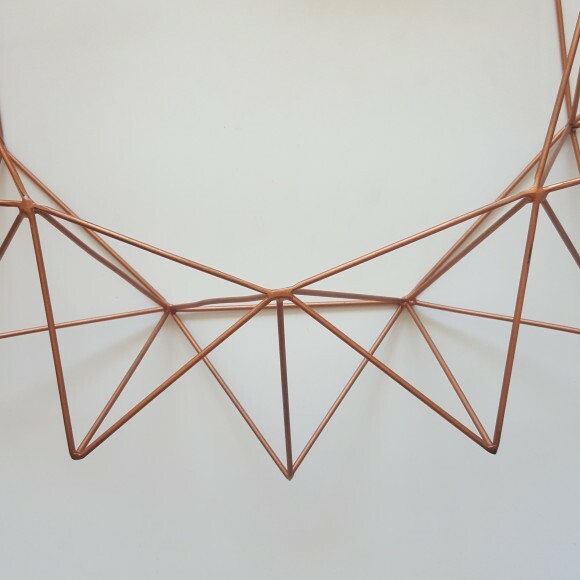 Made by local skilled craftsmen in Cape Town.